Trees are . . . oh, where to begin? They’re like life — they are life — only taller and with leaves. Trees are beautiful. They’re inspiring. They’re ubiquitous. They have near-endless utility: shade, firewood, paper, plywood, clapboards. In what category does Steve Hollinger’s “Arboretum” fit? Hollinger took Polaroids of trees, boiled the prints (sure, why not?) and put about a dozen of the distressed emulsions in a vitrine. The result, both as individual image and in overall effect, is a deeply pleasing delicacy. Actually, delicacy is another tree quality. Think of aspens in the wind or willows over water. More often trees can be mighty and majestic — oaks, redwoods, beeches. Certainly, those words apply to the example found in N.W. Gibbons’s 2009 photograph “Beech Trunk.” Its bulk could belong to a primeval creature — Jurassic beech? — rather than anything arboreal. Gibbons used a 19th-century format, the wet-plate collodion process. Andrew Young also used one, Woodburytpe. The difference is Young used it in the 19th century. “Trees II” nicely pairs two Young photographs from 1873: “Plane Tree” (speaking of mighty and majestic), shown in full leaf, and “Lime in Orchard,” bare and wintry. Variety: That’s another quality of trees. The show doesn’t restrict itself to trees, per se. 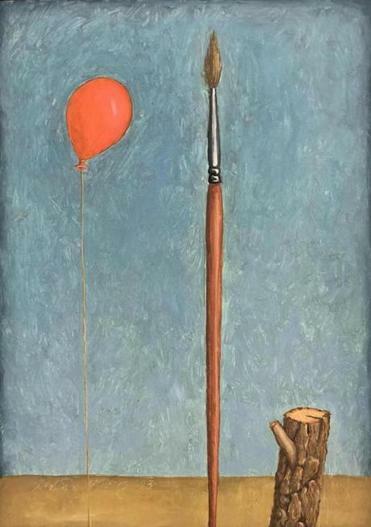 Sometimes the connection is simply titular: Andrew Mowbray’s memorably named ready-made “Milk crate Tree of Heaven.” There are logs (Jesse Burke’s photograph “Lumberjack”), as well as a stump (Tabitha Vevers’s painting “A Few Good Things” — the other good things being a balloon and a paintbrush). As for Shawn Bush’s photograph “Big Bear,” it shows a tree that isn’t a tree but wants us to think it is: a coniferously concealed cellphone tower. 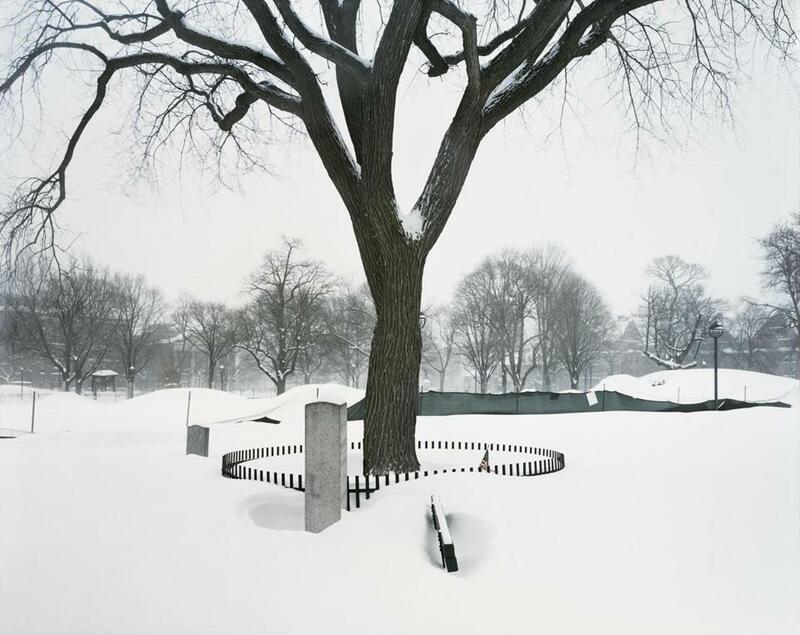 Among the 40 artists with works in “Trees II” are, photographically speaking, Big Names IV: Lee Friedlander, Harry Callahan, Aaron Siskind, Jerry Uelsman. They give a sense of the show’s geographical range: respectively, Tokyo, Aix-en-Provence, Martha’s Vineyard, and Uelsman’s imagination. So, yes, “Trees II” gets around. That’s one thing that can’t be said of trees. Ents, yes; trees, no. Closer to home, there are trees from the Arnold Arboretum (courtesy of Jack Lueders-Booth), Cambridge Common (courtesy of Bruce Myren), and a Somerville backyard (courtesy of Greer Muldowney). The final work in the show is Yoav Horesh’s photograph of a Rosh Hashana dinner. Tables are arranged around a tree. Horesh set the exposure for 45 minutes. This means the diners are wispy blurs. It also means that the tree, which sits serene and sturdy in the middle of the very large image (3 feet by nearly 4 feet), is about as wispy and blurred as God’s own truth. Draw your own conclusions as to which form of life matters more.